Figure below shows the Circuit Diagram andÂ Waveform of resistive load step down chopper. â€¢ The thyristor in the circuit acts as a switch. 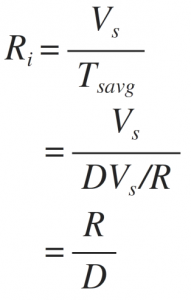 â€¢ When thyristor is OFF, the voltage across the load will be zero. 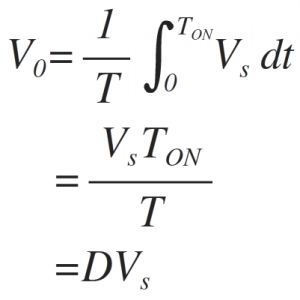 Where, D is duty cycle = TON/T. 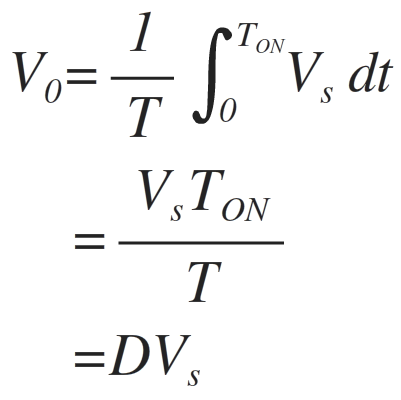 TON can be varied from 0 to T, so 0 â‰¤ D â‰¤ 1. 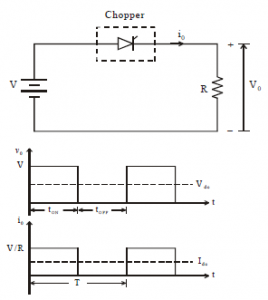 Hence output voltage VO can be varied from0 to VS.
so, we can conclude that output voltage is always less than the input voltage and hence the name step down chopper is justified. The output voltage and current waveform of step down chopper with resistive load is shown in above figure. 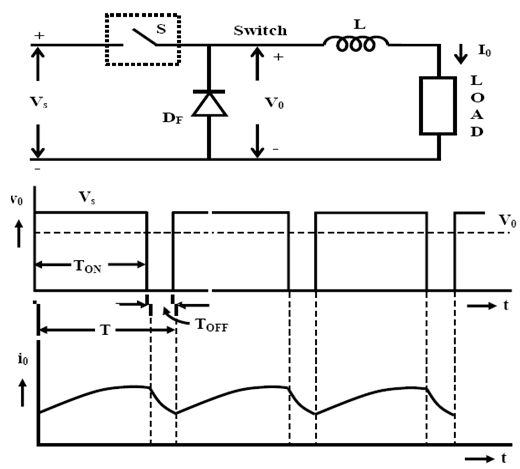 Figure below shows the Circuit Diagram andÂ Waveform of highly inductive load step down chopper. 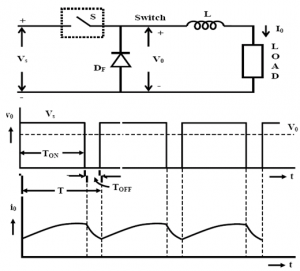 â€¢ A buck converter (dc-dc) is shown in above figure. â€¢ a diode (termed as freewheeling) is used to allow the load current to flow through it, when the switch (i.e., a device) is turned off. 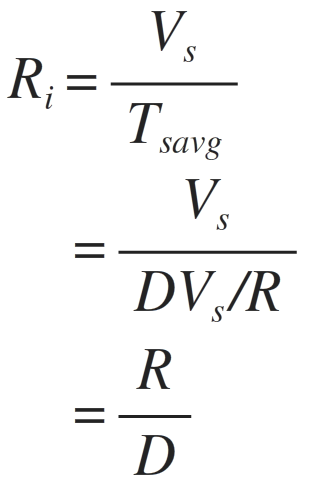 The load is inductive (R-L) one. 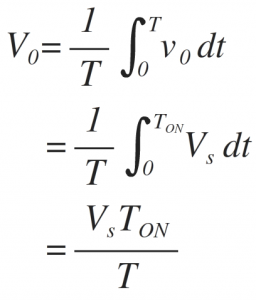 â€¢ Due to the load inductance, the load current must be allowed a path, which is provided by the diode; otherwise, i.e., in the absence of the above diode, the high induced emf of the inductance, as the load current tends to decrease, may cause damage to the switching device. If the switching device used is a thyristor, this circuit is called as a step-down chopper, as the output voltage is normally lower than the input voltage. â€¢ When chopper is ON, supply is connected across load. Current flows from supply to load. â€¢ When chopper is OFF, load current continues to flow in the same direction through FWD due to energy stored in inductorâ€˜Lâ€™. 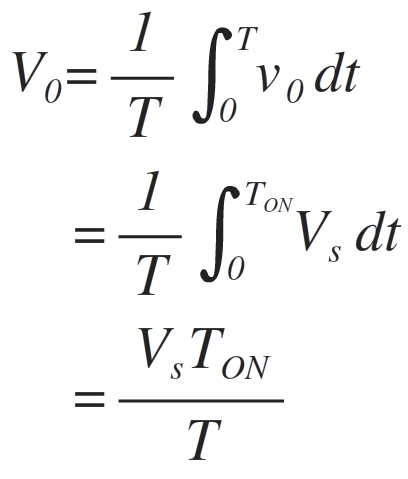 â€¢ When current becomes equal to Imax the chopper is turned-off and it is turned-on when current reduces to Imin.